Tim Bergling, the Swedish DJ and electronic dance music producer known as Avicii, suffered from pancreatitis and a number of other serious health conditions in the years before he was found dead Friday at the age of 28. An autopsy report later revealed there was no evidence of foul play. 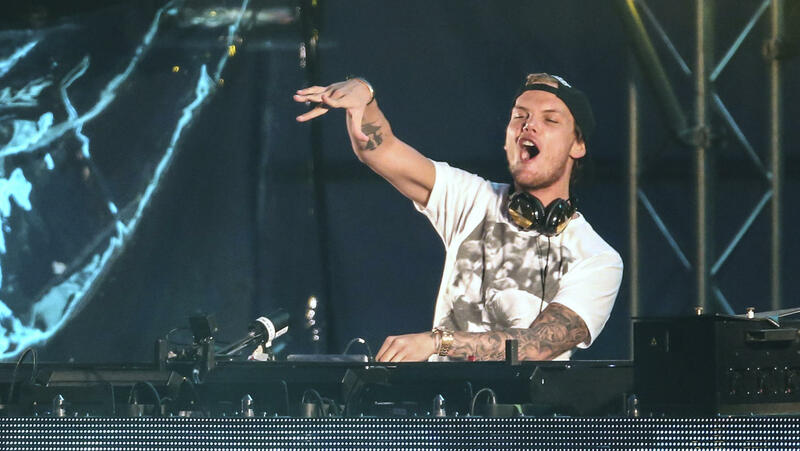 Avicii had in the past suffered acute pancreatitis, in part due to excessive drinking. In 2014, after having his gallbladder and appendix removed, he canceled a series of shows while he tried to recover. The performer announced he was retiring from the road in 2016, though he continued to produce songs and albums. "To me it was something I had to do for my health," he told The Hollywood Reporter of his decision to quit touring. Avicii's death at such a young age left fans with many questions about pancreatitis and the potential complications that can come with it. Pancreatitis occurs when there is inflammation in the pancreas, an organ located in the abdomen behind the stomach. Normally the pancreas plays an important role in the digestive process, releasing enzymes that help break down food in the intestines and insulin to regulate blood sugar. Pancreatitis can either be acute, appearing suddenly and lasting a few days, or chronic, lingering over many years. According to the National Institute of Diabetes and Digestive and Kidney Diseases, acute pancreatitis has become more common in recent years, though doctors are not sure why. Every year, 275,000 people in the United States are hospitalized for acute pancreatitis. Chronic pancreatitis is less common, with 86,000 people hospitalized per year. Certain groups of people are at a greater risk of getting pancreatits than others. Men, African-Americans, those with a family history of pancreatits, and those with a personal or family history of gallstones are more likely to get pancreatitis. Certain health conditions make pancreatitis more likely, including diabetes, gallstones, high triglycerides, genetic disorders of the pancreas, and cystic fibrosis. Heavy alcohol use, obesity, and smoking tobacco can also put you at a greater risk of pancreatitis. In Avicii's case, alcohol abuse had started young. "You are traveling around, you live in a suitcase, you get to this place, there's free alcohol everywhere — it's sort of weird if you don't drink," he told GQ in 2013 of his early days in the industry. "I just got into a habit, because you rely on that encouragement and self-confidence you get from alcohol, and then you get dependent on it." That January he developed "like, searing" abdominal pain and landed in the hospital in New York for 11 days with acute pancreatitis, GQ reported. "I probably drink more now than I should," he confessed. His friend and fellow musician Nile Rodgers said Avicii's drinking was still a problem the last time the two performed together, about three years ago. "It was a little bit sad to me because he had promised me he would stop drinking, and when I saw him he was drunk that night. And I was like, 'Whoa. Dude. C'mon. What are you doing? What's going on? You said that that was done,'" Rodgers recalled to The Associated Press after Avicii's death. "We did a show and I was a little upset. I didn't even stick around for his performance because it was breaking my heart. But we still had a great time. It was wonderful — we were that close." Acute pancreatitis can lead to dehydration, bleeding, and infections. Repeat episodes of acute pancreatitis can bring on chronic pancreatitis. Over time, the condition can lead to chronic pain, malnutrition and malabsorption, and diabetes. In more serious cases, pancreatitis can lead to pancreatic cancer, kidney failure, and even death.